It’s a great irony that our educated and affluent classes have been largely zombified on the subject of climate change. Their brainwashing by the mainstream media has been so effective that these individuals are unwilling to consider more nuanced discussions of the consequences of higher atmospheric carbon concentrations, or any scientific evidence to suggest contrary views. I recently attended a party at which I witnessed several exchanges on the topic. It was apparent that these individuals are conditioned to accept a set of premises while lacking real familiarity with supporting evidence. Except in one brief instance, I avoided engaging on the topic, despite my bemusement. After all, I was there to party, and I did! The zombie alarmists express their views within a self-reinforcing echo chamber, reacting to each others’ virtue signals with knowing sarcasm. They also seem eager to avoid any “denialist” stigma associated with a contrary view, so there is a sinister undercurrent to the whole dynamic. These individuals are incapable of citing real sources and evidence; they cite anecdotes or general “news-say” at best. They confuse local weather with climate change. Most of them haven’t the faintest idea how to find real research support for their position, even with powerful search engines at their disposal. Of course, the search engines themselves are programmed to prioritize the very media outlets that profit from climate scare-mongering. Catastrophe sells! 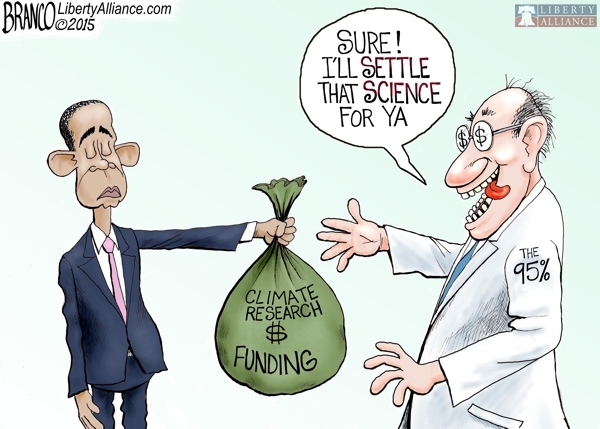 Those media outlets, in turn, are eager to quote the views of researchers in government who profit from alarmism in the form of expanding programs and regulatory authority, as well as researchers outside of government who profit from government grant-making authority. Climate alarmists take assurance in their position by repeating the false claim that 97% of climate scientists believe that human activity is the primary cause of warming global temperatures. The basis for this strong assertion comes from an academic paper that reviewed other papers, the selection of which was subject to bias. The 97% figure was not a share of “scientists”. It was the share of the selected papers stating agreement with the anthropomorphic global warming (AGW) hypothesis. And that figure is subject to other doubts, in addition to the selection bias noted above: the categorization into agree/disagree groups was made by “researchers” who were, in fact, environmental activists, who counted several papers written by so-called “skeptics” among the set that agreed with the strong AGW hypothesis. So the “97% of scientists” claim is a distortion of the actual findings, and the findings themselves are subject to severe methodological shortcomings. On the other hand, there are a number of widely-recognized, natural reasons for climate change, as documented in this note on 240 papers published over just the first six months of 2016. Prior to the deployment of weather satellites, and starting around 1850, temperature records came only from surface temperature readings. These are taken at weather stations on land and collected at sea, and they are subject to quality issues that are generally unappreciated. Weather stations are unevenly distributed and they come and go over time; many of them produce readings that are increasingly biased upward by urbanization. Sea surface temperatures are collected in different ways with varying implications for temperature trends. Aggregating these records over time and geography is a hazardous undertaking, and these records are, unfortunately, the most vulnerable to manipulation. Think about that the next time you hear about temperature records, especially NOAA reports on a “new warmest month on record”. It’s rare to find alarmists having any awareness of the scandal at East Anglia University, which involved data falsification by prominent members of the climate change “establishment”. That scandal also shed light on corruption of the peer-review process in climate research, including a bias against publishing work skeptical of the accepted AGW narrative. Few are aware now of a very recent scandal involving manipulation of temperature data at NOAA in which retroactive adjustments were applied in an effort to make the past look cooler and more recent temperatures warmer. There is currently an FOIA outstanding for communications between the Obama White House and a key scientist involved in the scandal. Here are Judith Curry’s thoughts on the NOAA temperature manipulation. Think about all that the next time you hear about temperature records, especially NOAA reports on a “new warmest month on record”. Last week on social media, I noticed a woman emoting about the way hurricanes used to frighten her late mother. This woman was sharing an article about the presumed negative psychological effects that climate change was having on the general public. The bogus premises: we are experiencing an increase in the frequency and severity of storms, that climate change is causing the storms, and that people are scared to death about it! Just to be clear, I don’t think I’ve heard much in the way of real panic, and real estate prices and investment flows don’t seem to be under any real pressure. In fact, the frequency and severity of severe weather has been in decline even as atmospheric carbon concentrations have increased over the past 50 years. I heard another laughable claim at the party: that maps are showing great areas of the globe becoming increasingly dry, mostly at low latitudes. I believe the phrase “frying” was used. That is patently false, but I believe it’s another case in which climate alarmists have confused model forecasts with fact. The prospect of rising sea levels is another matter that concerns alarmists, who always fail to note that sea levels have been increasing for a very long time, well before carbon concentrations could have had any impact. In fact, the sea level increases in the past few centuries are a rebound from lows during the Little Ice Age, and levels are now back to where the seas were during the Medieval Warm Period. But even those fluctuations look minor by comparison to the increases in sea levels that occurred over 8,000 years ago. Sea levels are rising at a very slow rate today, so slowly that coastal construction is proceeding as if there is little if any threat to new investments. While some of this activity may be subsidized by governments through cheap flood insurance, real money is on the line, and that probably represents a better forecast of future coastal flooding than any academic study can provide. Two enduring features of the climate debate are 1) the extent to which so-called “carbon forcing” models of climate change have erred in over-predicting global temperatures, and 2) the extent to which those errors have gone unnoticed by the media and the public. The models have been plagued by a number of issues: the climate is not a simple system. However, one basic shortcoming has to do with the existence of strong feedback effects: the alarmist community has asserted that feedbacks are positive, on balance, magnifying the warming impact of a given carbon forcing. In fact, the opposite seems to be true: second-order responses due to cloud cover, water vapor, and circulation effects are negative, on balance, at least partially offsetting the initial forcing. One other amazing thing about the alarmist position is an insistence that the past 50 years should be taken as a permanent trend. On a global scale, our surface temperature records are sketchy enough today, but recorded history is limited to the very recent past. There are recognized methods for estimating temperatures in the more distant past by using various temperature proxies. These are based on measurements of other natural phenomenon that are temperature-sensitive, such as ice cores, tree rings, and matter within successive sediment layers such as pollen and other organic compounds. The proxy data has been used to create temperature estimates into the distant past. A basic finding is that the world has been this warm before, and even warmer, as recently as 1,000 years ago. This demonstrates the wide range of natural variation in the climate, and today’s global temperatures are well within that range. At the party I mentioned earlier, I was amused to hear a friend say, “Ya’ know, Greenland isn’t supposed to be green”, and he meant it! He is apparently unaware that Greenland was given that name by Viking settlers around 1000 AD, who inhabited the island during a warm spell lasting several hundred years… until it got too cold! The alarmists take the position that carbon emissions are unequivocally bad for people and the planet. They treat carbon as if it is the equivalent of poisonous air pollution. The popular press often illustrates carbon emissions as black smoke pouring from industrial smokestacks, but like oxygen, carbon dioxide is a colorless gas and a gas upon which life itself depends. Our planet’s vegetation thrives on carbon dioxide, and increasing carbon concentrations are promoting a “greening” of the earth. Crop yields are increasing as a result; reforestation is proceeding as well. The enhanced vegetation provides an element of climate feedback against carbon “forcings” by serving as a carbon sink, absorbing increasing amounts of carbon and converting it to oxygen. Matt Ridley has noted one of the worst consequences of the alarmists’ carbon panic and its influence on public policy: the vast misallocation of resources toward carbon reduction, much of it dedicated to subsidies for technologies that cannot pass economic muster. Consider that those resources could be devoted to many other worthwhile purposes, like bringing electric power to third-world families who otherwise must burn dung inside their huts for heat; for that matter, perhaps the resources could be left under the control of taxpayers who can put it to the uses they value most highly. The regulatory burdens imposed by these policies on carbon-intensive industries represent lost output that can’t ever be recouped, and all in the service of goals that are of questionable value. And of course, the anti-carbon efforts almost certainly reflect a diversion of resources to the detriment of more immediate environmental concerns, such as mitigating truly toxic industrial pollutants. The priorities underlying the alarm over climate change are severely misguided. The public should demand better evidence than consistently erroneous model predictions and manipulated climate data. Unfortunately, a media eager for drama and statism is complicit in the misleading narrative. 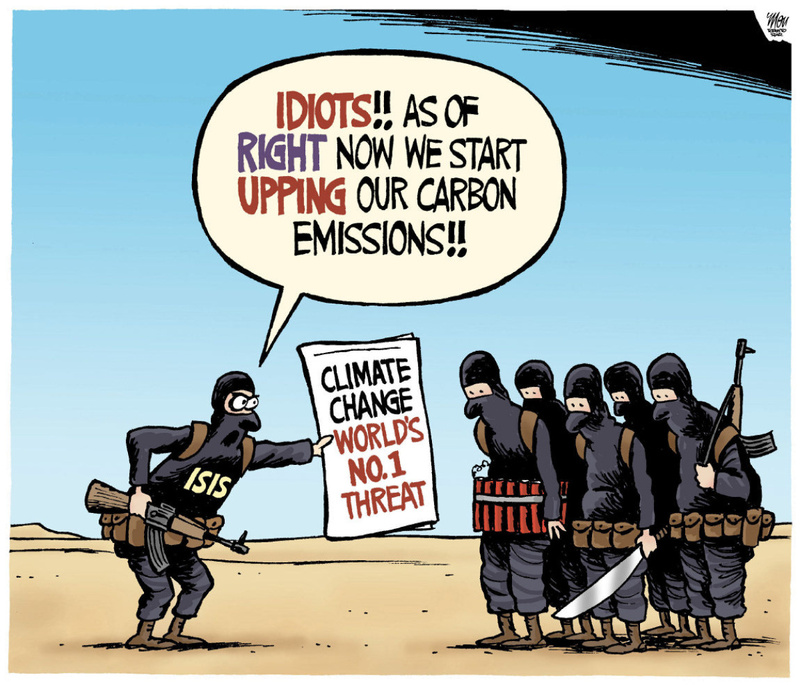 FYI: The cartoon at the top of this post refers to the climate blog climateaudit.org. 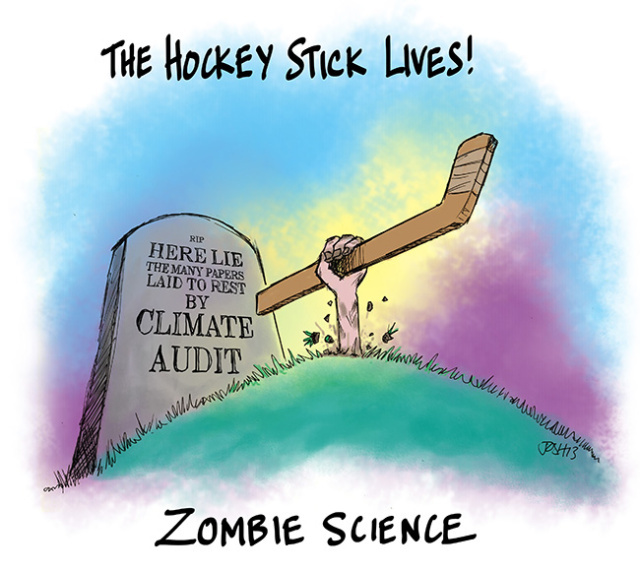 The site’s blogger Steve McIntyre did much to debunk the “hockey stick” depiction of global temperature history, though it seems to live on in the minds of climate alarmists. McIntyre appears to be on an extended hiatus from the blog. It’s worth emphasizing that the the developing world will account for 79% of the world’s cumulative carbon emissions by 2100 under a moderate growth scenario developed by the Intergovernmental Panel on Climate Change (IPCC). Cass points out that even if the world’s developed countries ceased all carbon emissions immediately, developing countries would face an impossible task in cutting emissions sufficiently to stay within the IPCC’s estimated “safe carbon budget” for the globe. The best that can be said is that the IPCC might be trying to set the bar high for negotiators, although that would make claims of success at COP 21 difficult. Perhaps that’s fine for activists, because they’ll have an ongoing “crisis” to meet their insatiable need for doomsaying. Relatively impoverished developing countries will not wish to sacrifice their own economic growth at the altar of climate worship without compensation. In fact, redistribution might be a better description than compensation, which just might be the real point of the conference for many developing countries. Promises of carbon reductions are not guarantees in any case. 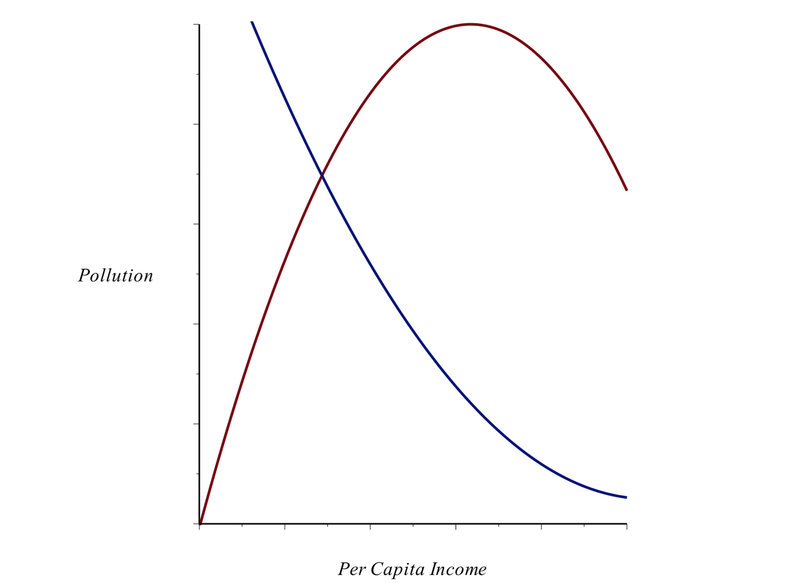 Future compensation to the developing world, if any, should be contingent on actual results. But no matter the outcome of the negotiations, the importance of cheap words will be exaggerated. The magnitude of any negotiated reductions in carbon emissions will be inadequate to put much of a dent in actual, climate outcomes, but they will be costly. Writing in the Wall Street Journal, Bjorn Lomborg describes estimates of lost global output due to proposed carbon cutbacks of $1 – $2 trillion each year by 2030 and beyond. That’s roughly 1% – 2% of projected real GDP. of course, there is considerable uncertainty around those estimates and even more around the magnitude of the possible climate effects. Lomborg estimates a best-case outcome amounting to a reduction in global temperatures of a fraction of a degree Fahrenheit. That difference could easily be swamped by natural climate effects. Worth it? Indeed, imposed limits on economic growth will compound the difficulty of improving carbon efficiency and would consign third-world populations to an impoverished existence in both economic and environmental terms. President Obama has promised significant carbon reduction in the U.S. However, the COP 21 negotiations do not fall under the “fast-track” authority that Obama was granted by Congress last May over trade agreements. Instead, the hoped-for climate agreement has been characterized as an update to a 1992 treaty to avoid a Congressional ratification process. In addition, Obama has already issued executive orders to push forward the climate measures he has promised to other parties to COP 21. So much for the separation of powers. However, a number of states are not taking it lying down. In fact, 24 states and others have filed suit against the new regulations, asking the D.C. Circuit Court to stay the regulatory plan while the case moves through the courts. 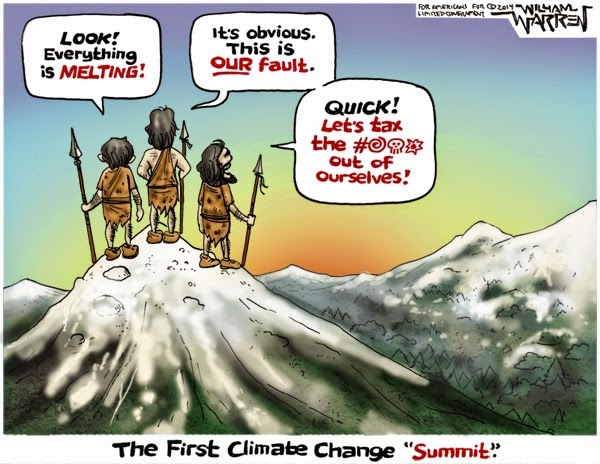 Anthropomorphic global warming (AGW) has been a preoccupation of the alarmist left since the late 20th century, when surface temperatures trended upward for a few decades. Climate change (10 posts at this link), on the other hand, is and always has been a fact of life, but the satellite temperature record has been trendless since the mid 1990s, while the alarmist climate models have predicted significant warming. Beyond the predictions themselves, there is little to suggest that some warming would constitute a disaster for mankind, and perhaps it would be a boon. The combination of the two lines in the chart shows that economic growth is not unambiguously “bad” for the environment. It has certainly proven to be a good thing in terms of human health and welfare. As a consequence, developing countries should not be so foolish as to sacrifice economic growth for immediate carbon reductions. On the other hand, they may well make “promises” in exchange for massive compensation. Neither should the world be singularly focused on immediate carbon reductions, because economic growth will be accompanied by improvements in carbon efficiency and the development of technologies far superior to today’s wasteful renewables. The activists attending COP 21 hope to improve the world, but they would saddle humanity with unnecessary burdens. I pity the denizens of countries whose leaders force costly authoritarian energy policies upon them in an effort to set, or comply with, a radical agenda. Oh, wait, that might be us! But I am optimistic that any agreement reached in Paris, if there is any, won’t hold or won’t matter. Consensus: the world is flat; the science is settled. Consensus: the earth is at the center of the universe; the science is settled. Consensus: bloodletting can cure diseases; the science is settled. 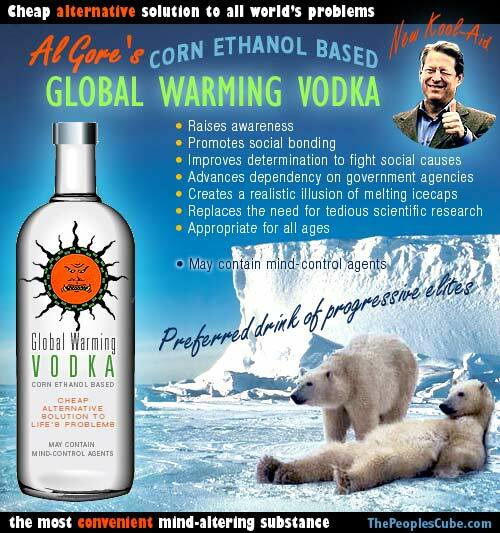 Did these ideas truly represent scientific consensus? They probably thought so at the time, but it’s more likely that they derived from long- and widely-held assumptions that had never been tested adequately via scientific methods. It might have been difficult, if not impossible, to test those propositions using the methods available at the time. There are certainly other examples of “settled science” that were later revised, such as certain aspects of Newtonian physics. In short, the Cook research upon which the 97% claim is based is trash. There are a number of points upon which climate researchers can largely agree in principle, including the fact that greenhouse gases would warm the planet, but only if ceteris paribus is invoked. There are many feedback effects and confounding influences that change the relationship, and the actual time span of data that can be brought to bear on the issue is strikingly short to justify bold conclusions. Unfortunately, the research environment is so politicized that even the data itself is subject to manipulation. Astonishingly, many assertions about the actual climate are, in fact, based on model output, not actual data! Ridley goes on to recount the litany of scandals that have erupted within the climate establishment over the past few years. It is well worth reading, but ultimately these developments can’t help but damage science, its reputation with the public, and its usefulness to mankind.